This book might better be called ‘Zen and the Art of Photography’ because it seems to be a book geared more about how to find your zen through the use of photography, rather than ‘meditation’ in a more general sense. There is very little writing within the book. Each chapter (twenty-eight of them) is only a page or two long and usually illustrated with the author’s photography to help make his points. Based on the title of the book, I was expecting to learn how to use my (amateur) photography skills to meditate or to find an inner peace. It didn’t quite happen that way. The beginning of the book seemed to be more about the meditative qualities of a photograph — how it affects the viewer — rather than using the practice of photography as meditation. The middle portion of the book seemed to be geared more to using meditation to find ways to take better photographs (note the description of the book in Goodreads even includes this sentence: “Hoffman shows how meditation can lead to the source of inspiration” which would be the opposite of what the title declares. A couple of the chapters (remember, these are very short) discuss the methods of zen and zazen — a form of meditation that requires emptying of the mind to find an inner peace. I’ll be honest … I was looking to this book to find that inner peace through photography, not by taking lessons in zen. Some of the photography is very nice and would be interesting to see in a gallery. Some of the photography made no impact on me at all, which was disappointing. Overall, I was underwhelmed. I think Torsten Andreas Hoffmann has found a way to combine his love of Zen teachings and photography and that it has proved very valuable to him. Unfortunately, he hasn’t quite found the right way to share that combination. Looking for a good book? 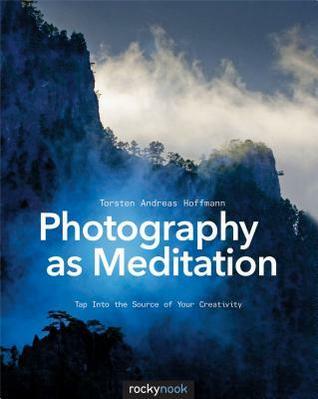 Photography as Meditation by Torsten Andreas Hoffmann tries to show how to use your creativity to find a peaceful ‘zen’ but lacks the right focus to get us there. This book was received free, in electronic form, from the publisher, through Netgalley, for an honest review.